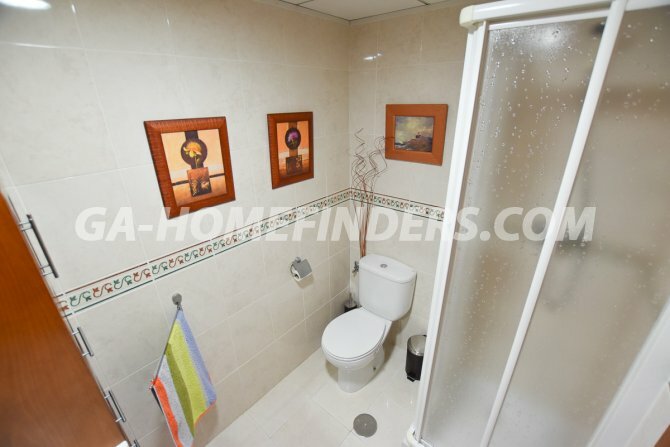 Semi-detached house partially furnished, has 3 bedrooms and 3 bathrooms. 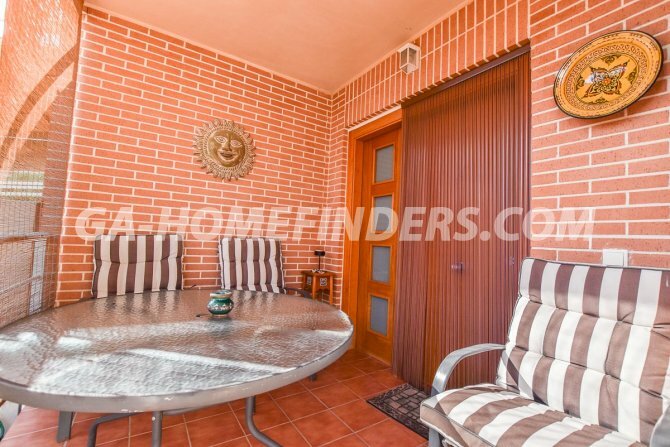 At the entrance of the house there is a large terrace, All the windows have shutters and security grills. 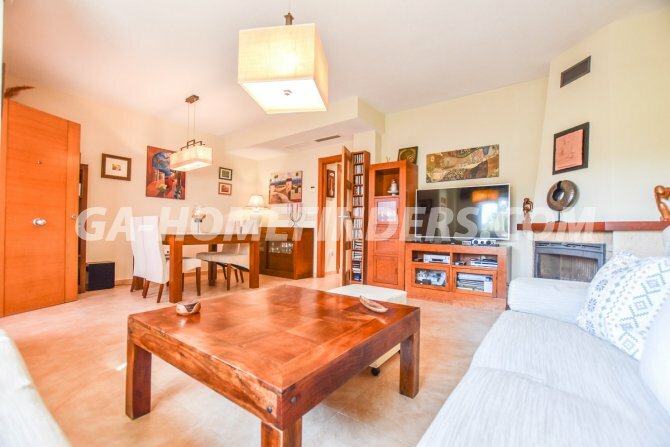 On the ground floor of the property there is a large living room with a fireplace, independent kitchen with utility room and a bathroom. 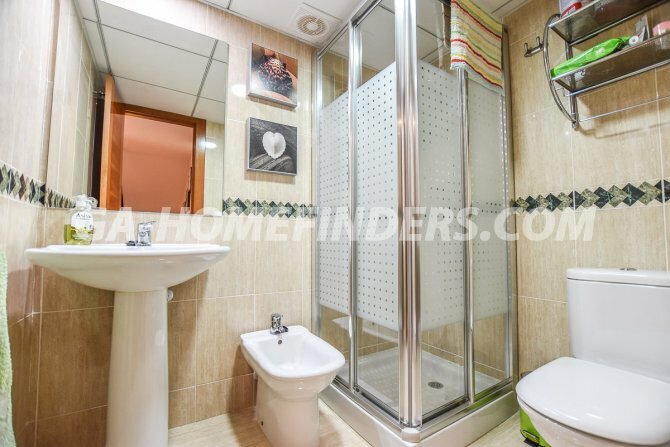 On the first floor there are 3 bedrooms, one of them with an en suite bathroom and further bathroom, the bedrooms have fitted wardrobes. 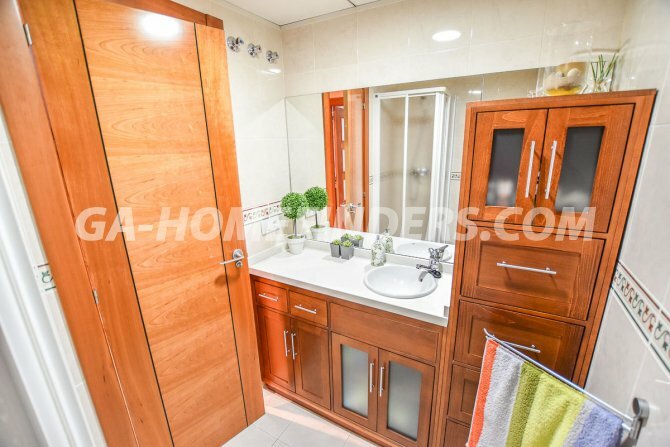 It has air conditioning (hot and cold). 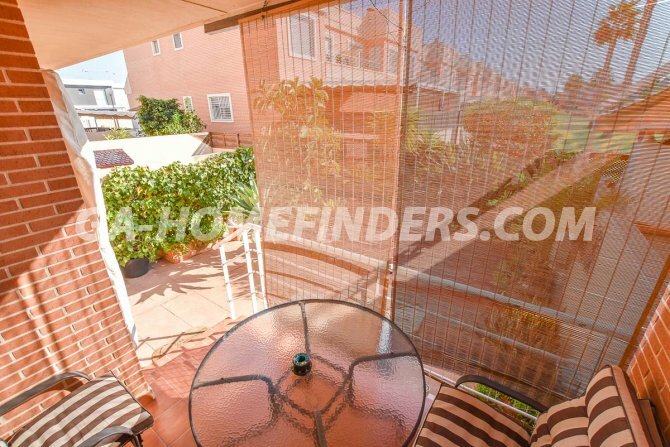 There is a large balcony which is accessed from two of the bedrooms. 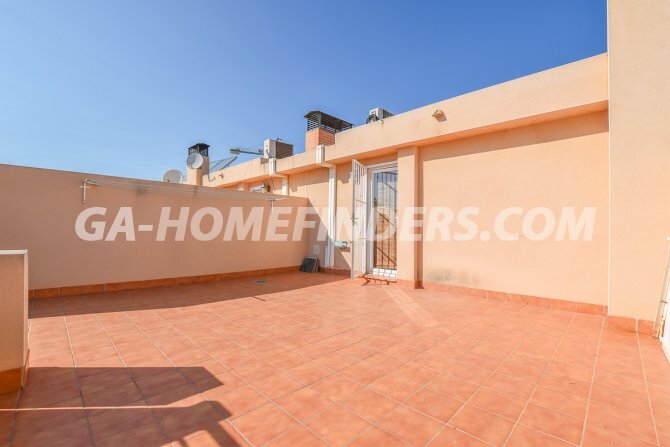 On the second floor is a large solarium. 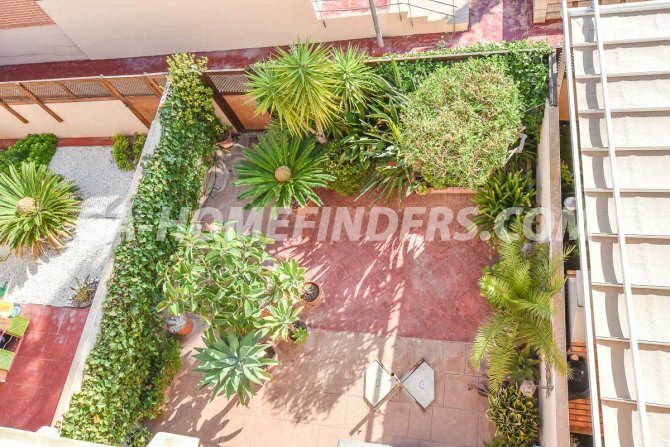 There is a parking space at the entrance of the house. 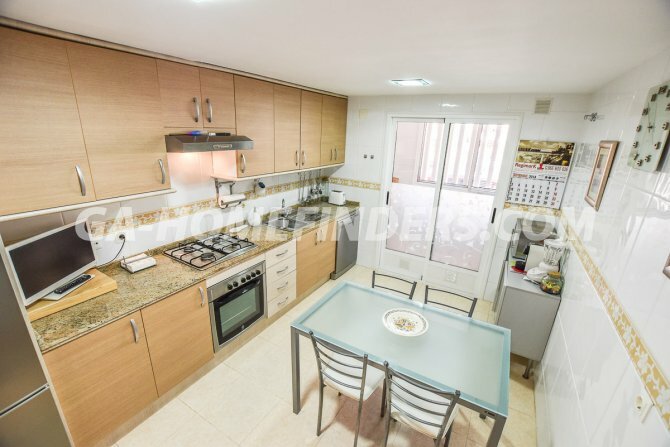 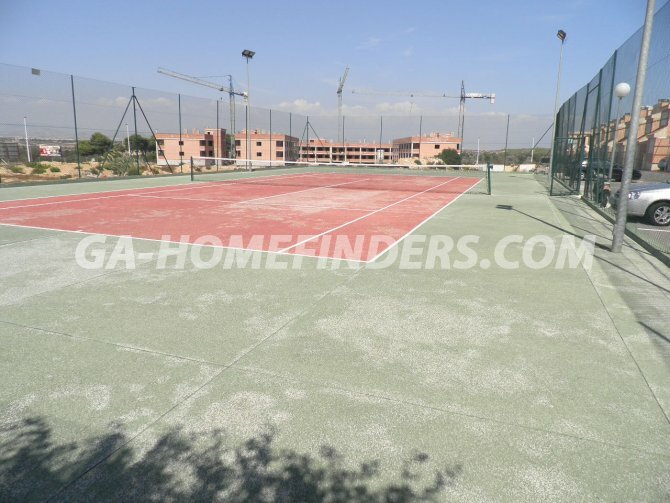 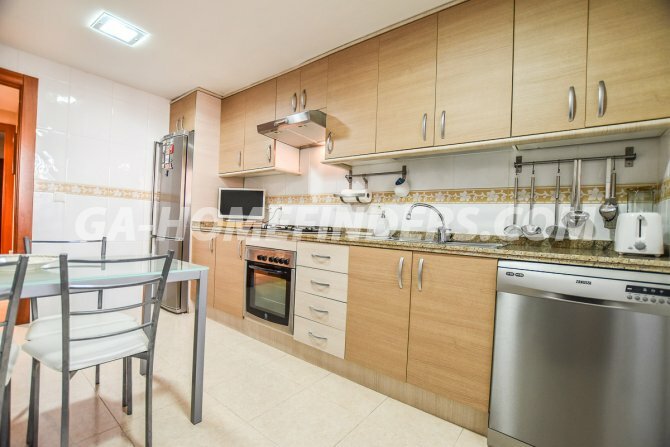 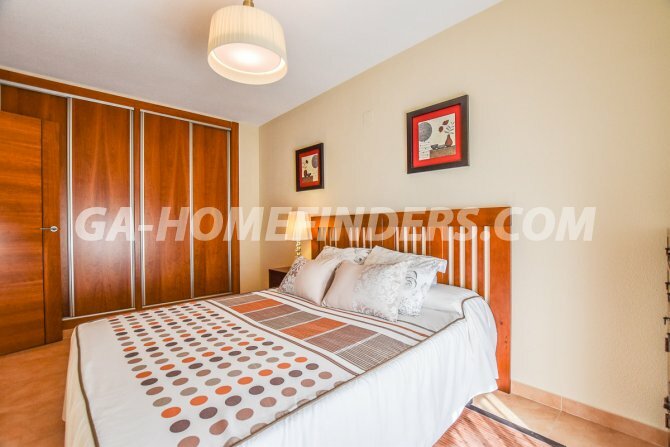 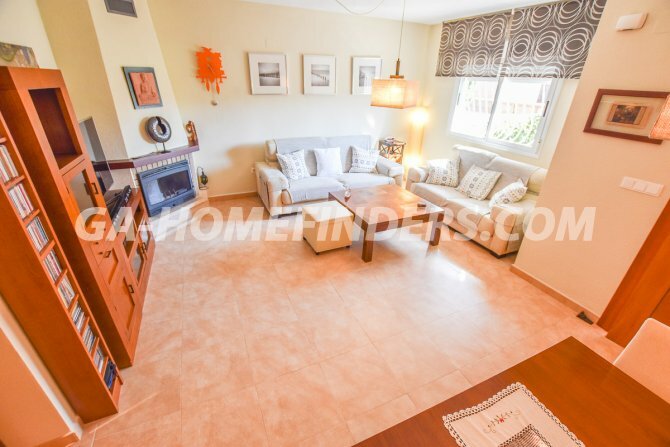 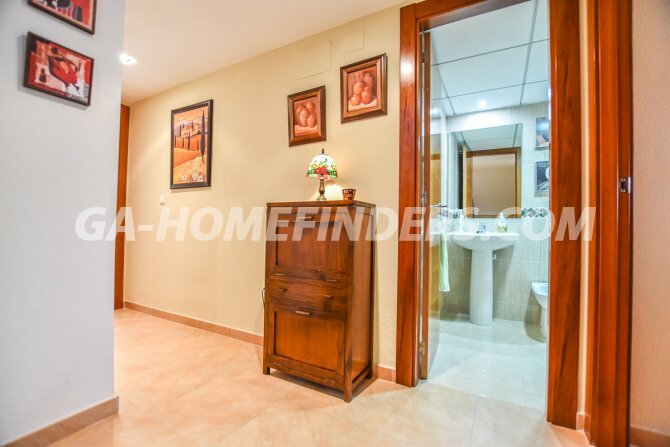 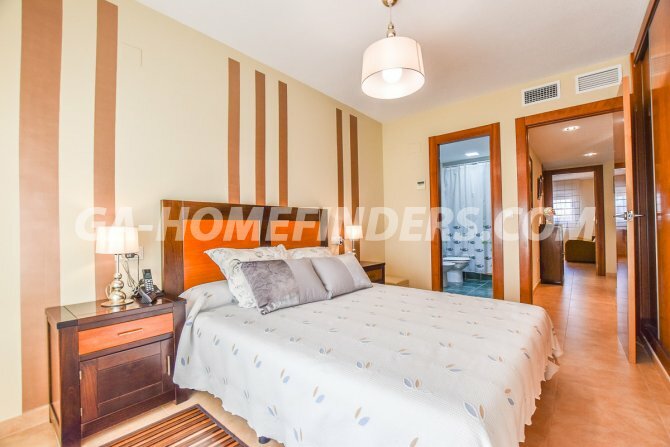 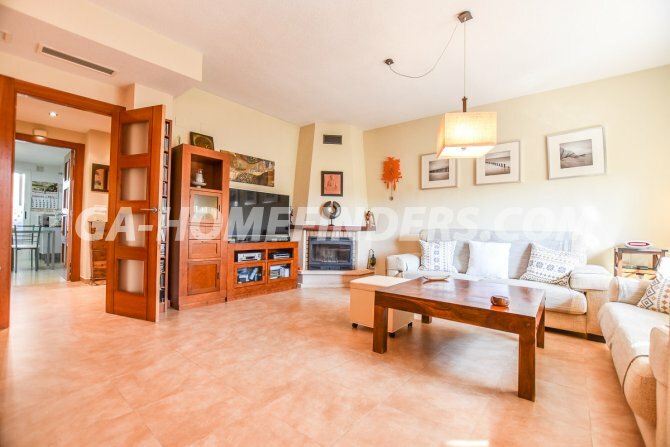 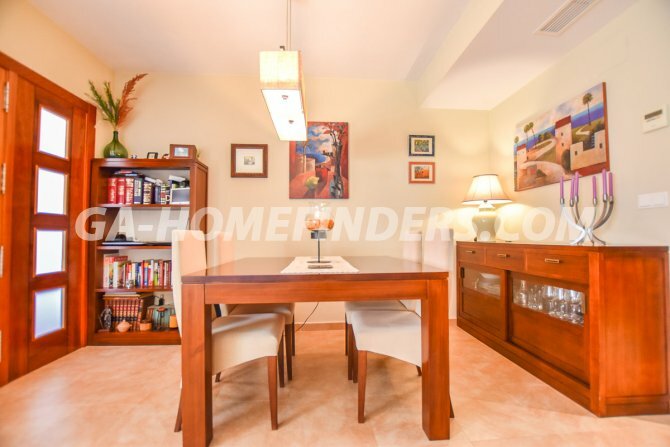 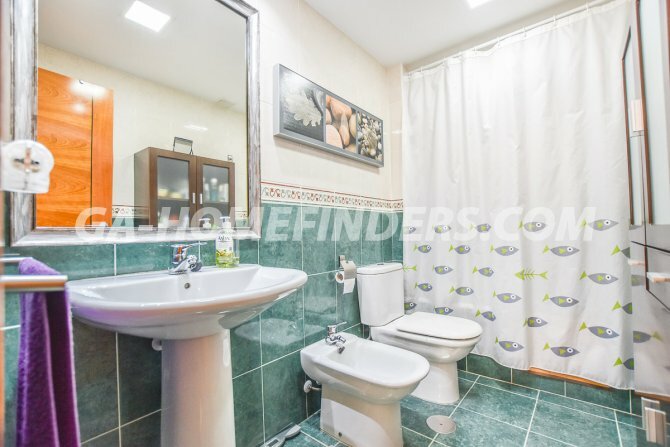 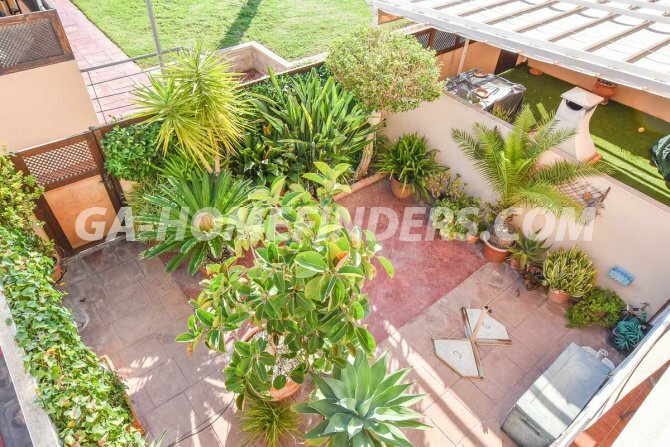 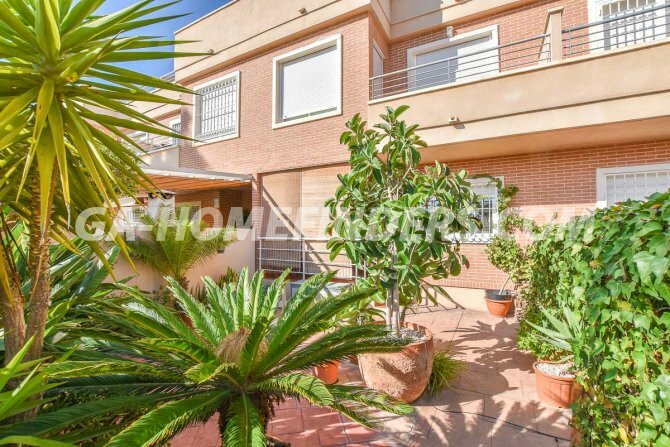 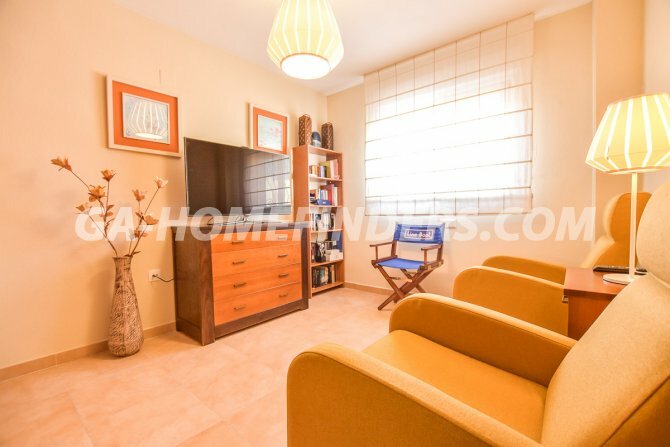 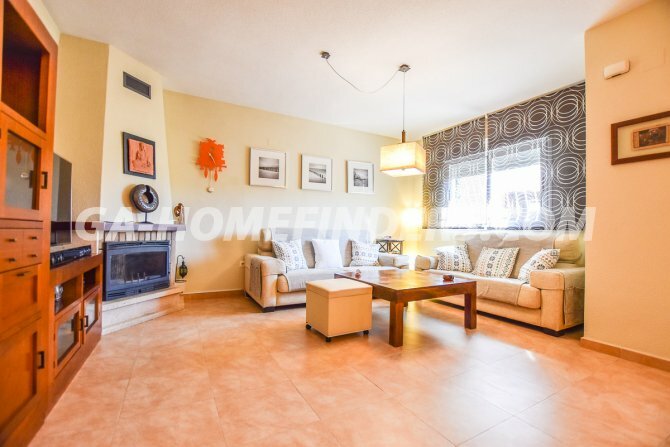 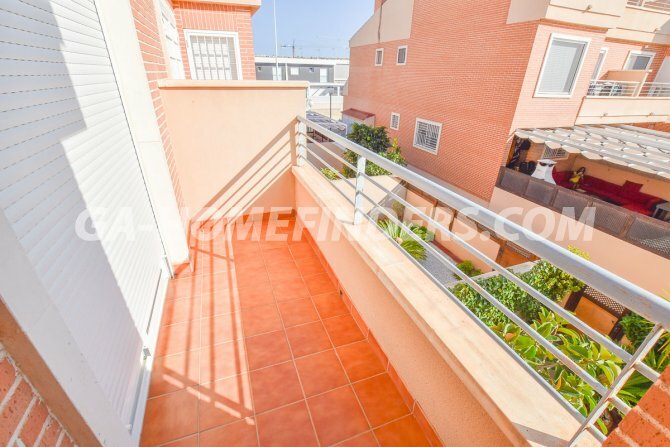 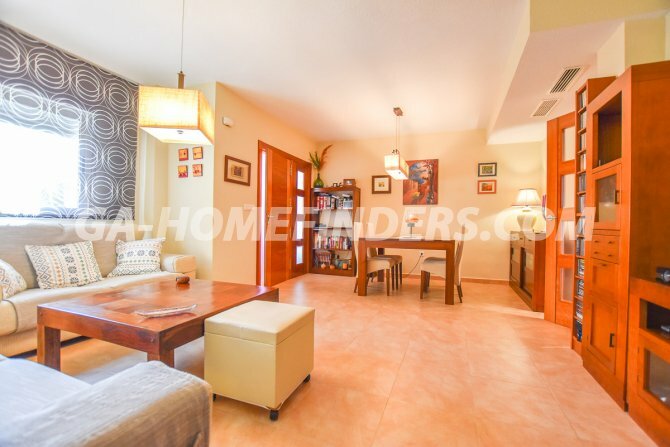 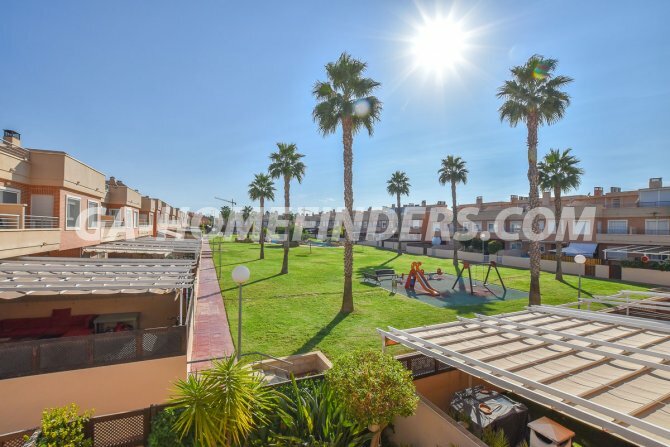 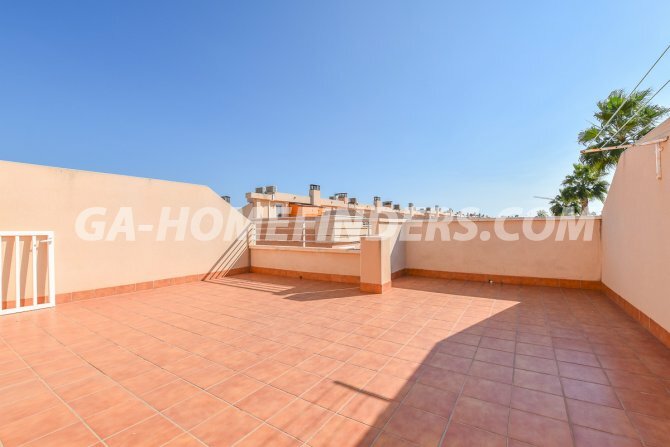 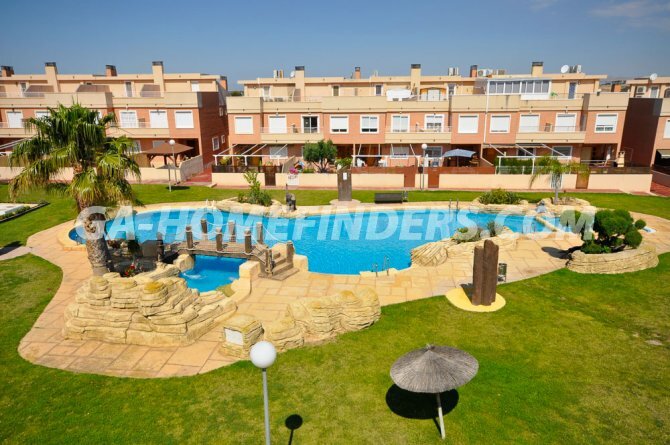 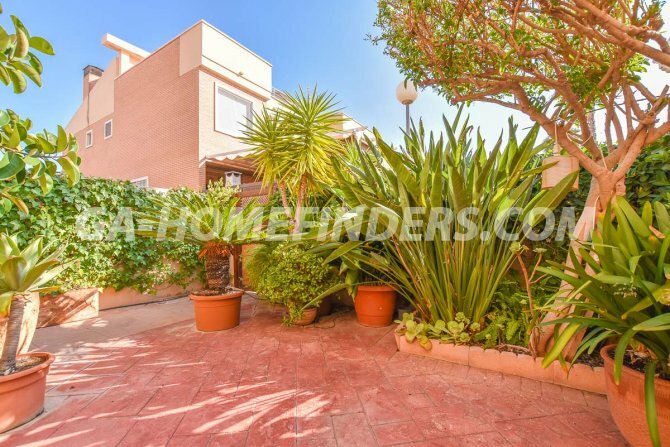 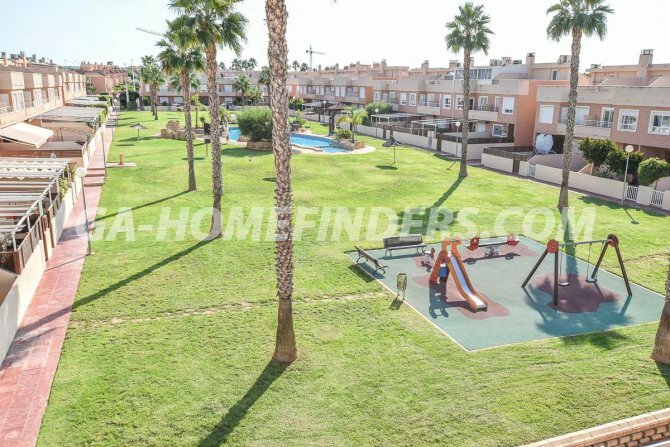 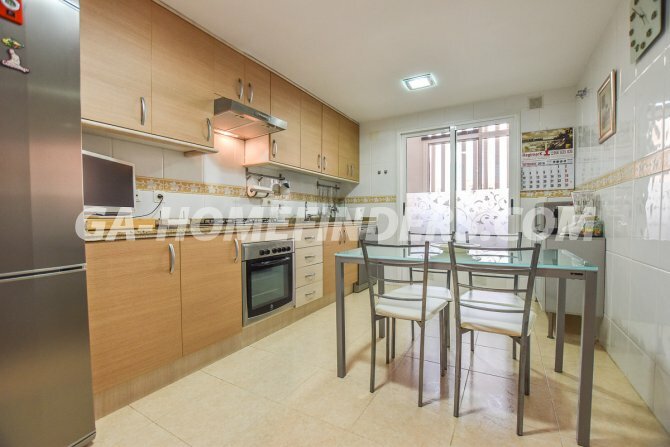 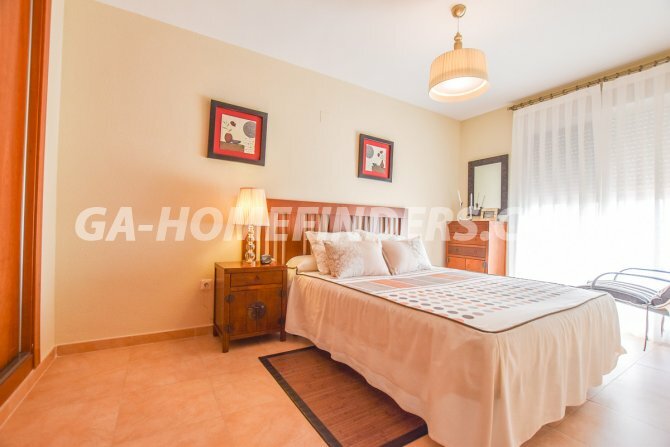 The urbanisation is located in the lower part of Gran Alacant, it is very quiet and very well maintained, it has large green areas, communal pool, a children's area and a sports area.